At Bay Regional Veterinary Hospital we are dedicated to giving your pet great care with the compassion they deserve. We are honoured to serve our loyal clients and welcome new clients and their pets. New Patients Welcome. Medical, Dental & Surgical Facility for Your Pets. 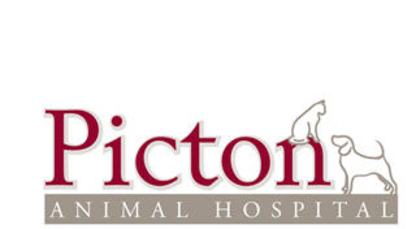 Whether it’s time for Fido’s annual visit to the veterinary clinic or only the best veterinarian in town will do for finicky Whiskers, finding veterinarian services in your area for the family pet is a daunting task – especially when choosing among the 6,600 practicing veterinarians in Canada. Talk to pet owners: Like trying to find a family doctor, the best way to find a veterinarian or a certified animal clinic is to ask around – in this case, ask pet owners in your inner circles about their veterinary needs. Some of the best referrals come from those who have chronically ill pets. 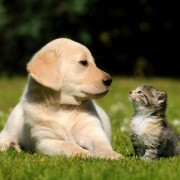 Some of the questions you may want to ask pet owners are the following: How long have you known this veterinarian? How much does your veterinarian charge per visit? What are the costs per treatments and what do they include? Is the staff equipped for emergencies? Compare your notes and you’ll have a good a lead. Hang out in dog parks: Hang out at your local dog park and ask dog owners what they have to say about the veterinarians in their area – chances are you’ll have a better consensus on the different types of veterinarian services you’ll encounter in your neighbourhood. Schedule a visit: Go behind the scenes and get to know a local vet by visiting their facilities. Ask yourself the following: Is the examination room clean and odour free? Is the support staff courteous? In what conditions will your pet be treated? Prepare a list of questions: When you meet a veterinarian for the first time, make sure you explain your pet’s health history. 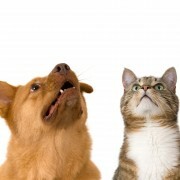 If your pet’s breed or species is particular and needs extra attention, ask the vet which animals they specialise in. You wouldn’t see an eye doctor if your feet were hurting, would you? A quick call to the provincial veterinary medical association can help confirm a vet’s credentials. Veterinary hospital vs. private veterinary clinic: Choosing between the two can come down to a matter of price. You’ll find better prices at an animal hospital but you will not find the same friendly rapport you’ll get from a private veterinary clinic. A Belleville ON veterinary hospital may also be better equipped to take care of a family pet emergency whereas a private veterinary clinic would hold records of your pet’s entire health history for a more accurate diagnosis.